I hear there is a big football game coming up. We are not big football fans, but we are always up for a good party. And with good parties comes good food. I like to change up my party menu every once in a while, so we are not always eating the same foods. 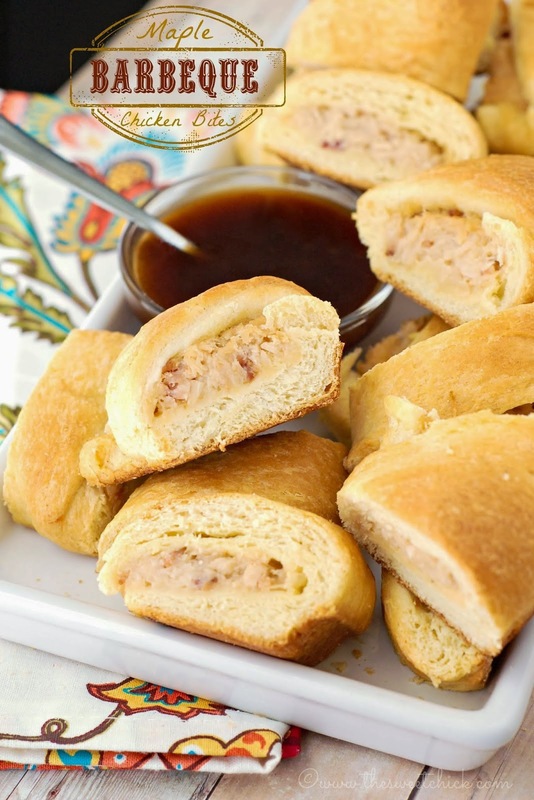 This time around, I decided to make our favorite family dinner into a cute appetizer. My family loves Chicken Cordon Bleu, so I thought, why not make it in a wonton? 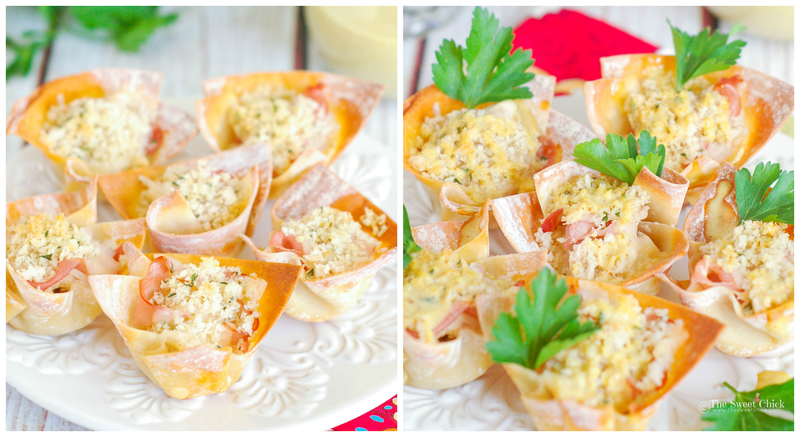 Chicken Cordon Bleu Wonton Cups are perfect for any party or just as a snack. 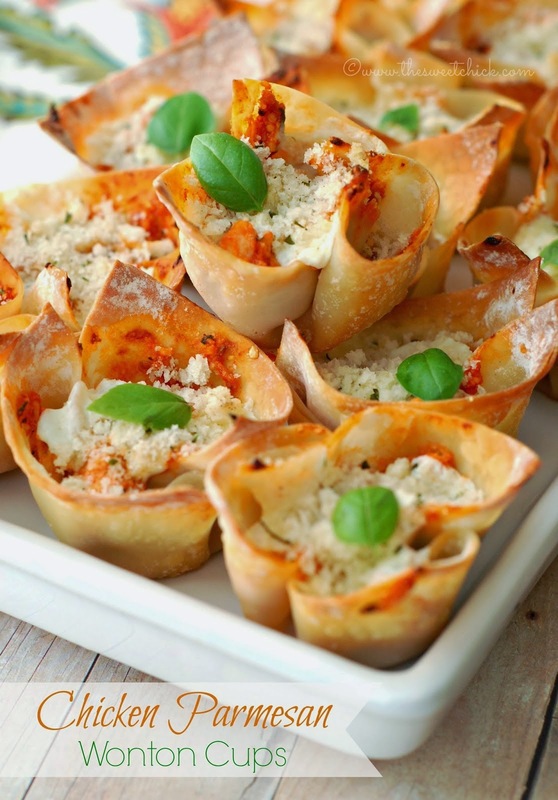 For these wonton cups, you are going to need some cooked chicken. I just cooked up a package of chicken tenders, but you can probably use some pre-cooked, packaged chicken also. I found it easier to roll up the ham and cut it in eight strips, then add a strip to eat wonton cup. For the cheese, I cut each slice into small squares and added about 2 squares to each cup. I do recommend getting some good quality deli ham and cheese. I bought Boar's Head Black Forest Ham and Boar's Head Baby Swiss Cheese. For the maple mustard sauce, I just mixed together some brown mustard, mayonnaise, and pure maple syrup. I drizzled on the sauce after the completed wontons were baked, but you can also add it before the final baking process. If you prefer dijon mustard, you can swap that out too. You can also adjust the ratios of mustard and maple syrup to your liking. 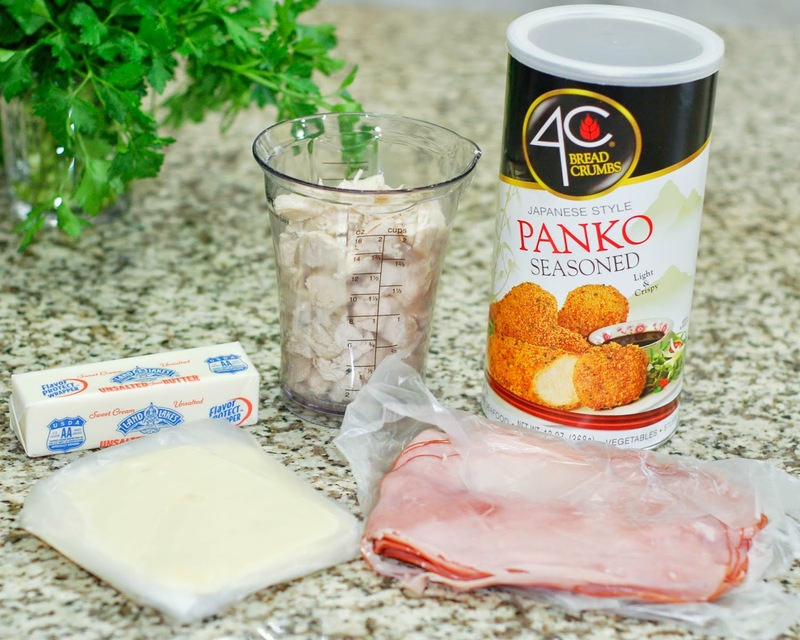 My daughter and husband love this sauce with their Chicken Cordon Bleu. You can dress them up with some fresh parsley if you like, or add some chopped tomato. 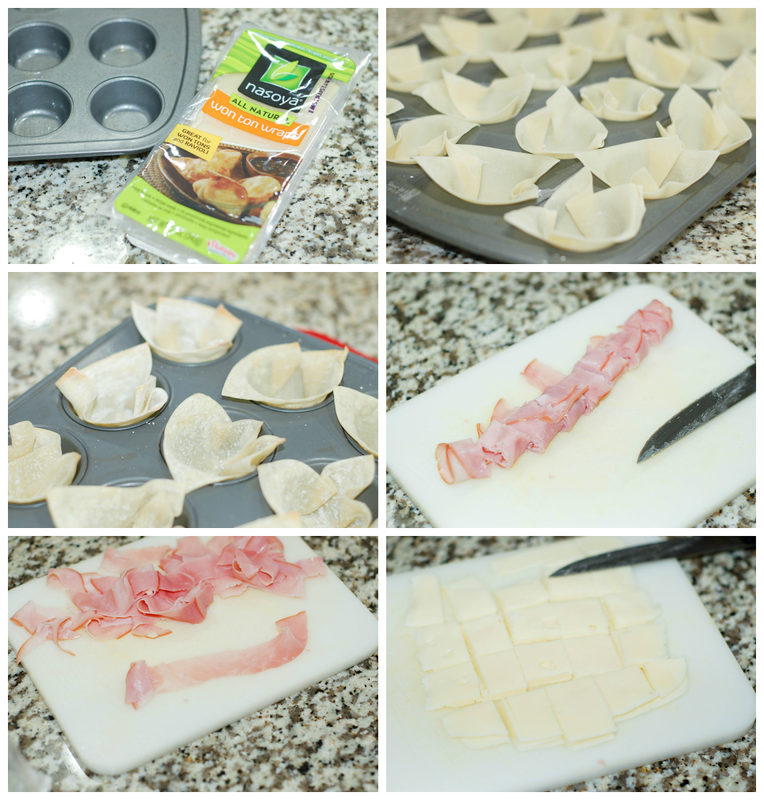 I had my daughter and husband test these out and they agreed that Chicken Cordon Bleu Wonton Cups were a winner. My daughter ate some for lunch the other day and hubby had some as a mid afternoon snack. I did store the extras in the fridge and just reheated them in the microwave for about 10-20 seconds when needed. The wonton wrappers still stayed super crunchy. 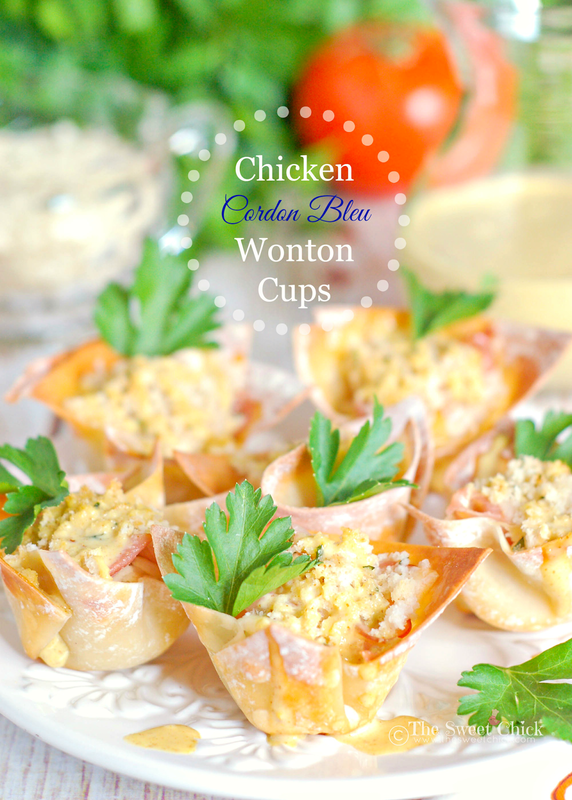 These wonton cups have all the flavors of a Chicken Cordon Bleu dinner wrapped in a neat little package. I like the bit of crunch the wonton wrappers give to flavor experience. They will definitely go on the appetizer rotation list. Hope you guys all have a fun Super Bowl day!! 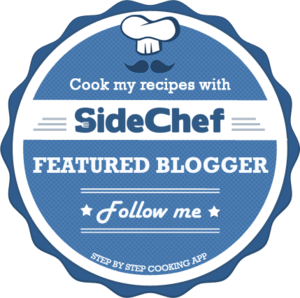 For more fun appetizers, check out the links below. 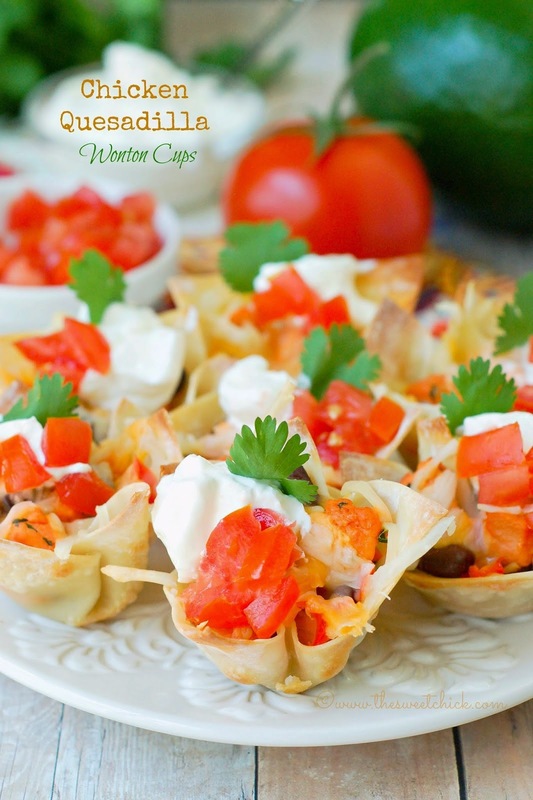 Evenly distribute the chopped chicken pieces into the bottoms of the wonton cups. Chop up ham and cheese slices. For the ham, I found it better to roll it them slice it into ribbons (about 8 cuts per roll) and add a ribbon to each wonton cup. 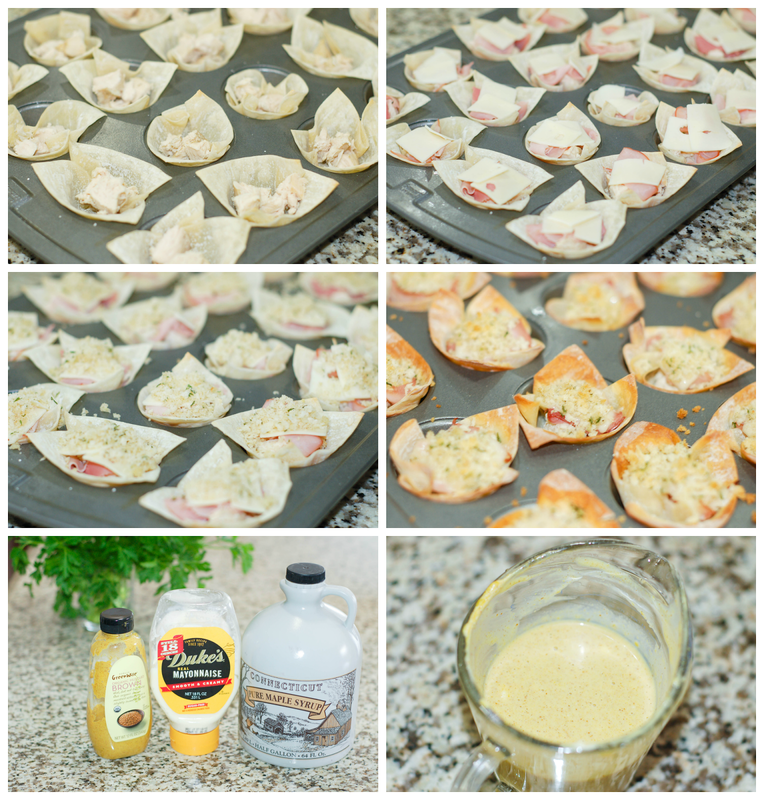 For the cheese I cut the slices into small squares and placed about two squares to each wonton cup over the ham and chicken. Next mix together the melted butter and panko bread crumbs and sprinkle about a 1/2 teaspoon of the mixture to the tops of each wonton cups over the cheese. 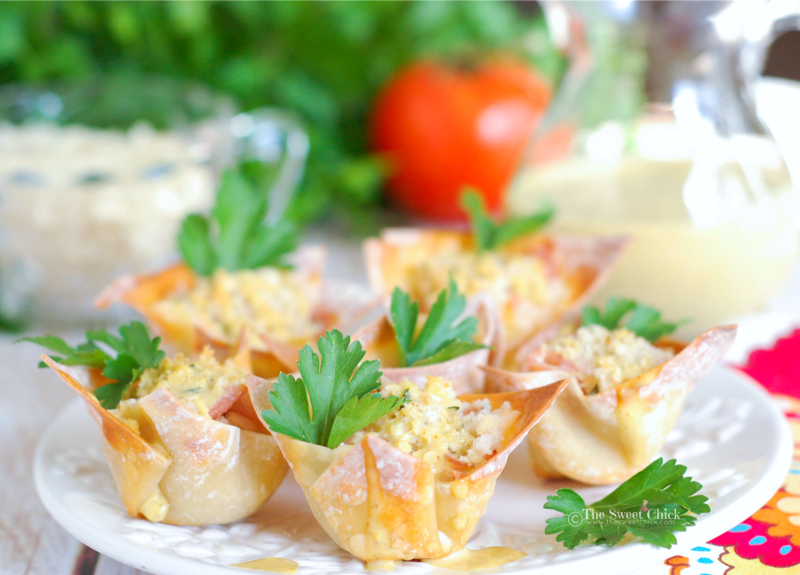 Place the wonton cups in the oven and bake at 350°F for 10 minutes or until cheese melts and bread crumbs are slightly golden. Remove from oven and allow to cool slightly before carefully removing from muffin tin. Serve warm drizzled with a maple mustard sauce. Whisk together the mayonnaise, mustard, and maple syrup until smooth. Then drizzle it over the wonton cups. Enjoy! Feel free to add extra toppings if you like, such as chopped fresh parsley or chopped tomatoes. Leftovers can be refrigerated in an airtight container and reheated for 10-20 seconds in the microwave.